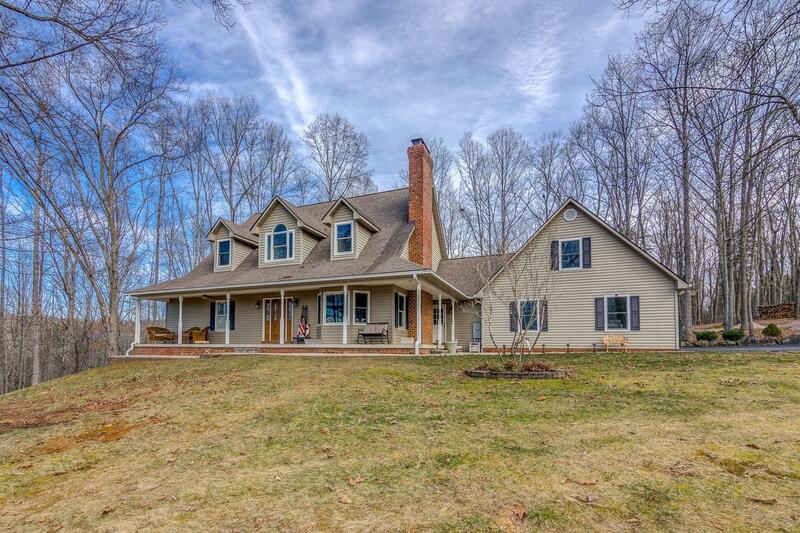 This beautiful, maintenance free private retreat on 20 mostly wooded acres includes 4 BR/3.5 BA with master suite on main level, cathedral ceilings in the great room w/2-story stone fireplace, sunroom, gorgeous front porch with views & 3 outbuildings including a 4-stall 24x40 storage building for toys/tools/equipment. Kitchen features an induction stove top, granite counter tops, and custom back splash. Primary heat sources are in outside wood boiler (that also provides hot water in winter) for low electric bills, or 2 heat pumps. There are also 2 indoor wood stoves. Whole house generator with auto xfr switch & surge protectors are included.